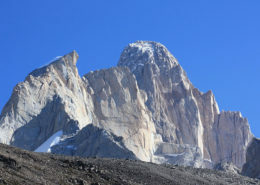 Cerro San Lorenzo is one of the highest (3705m) and remote places of Patagonia, located approximately 300 km north of the Cerro Torre and Fitz Roy Massifs in and El Chalten. This impressive mountain is not as famous as other Patagonian areas and this is what gives it the flavor of a great adventure. 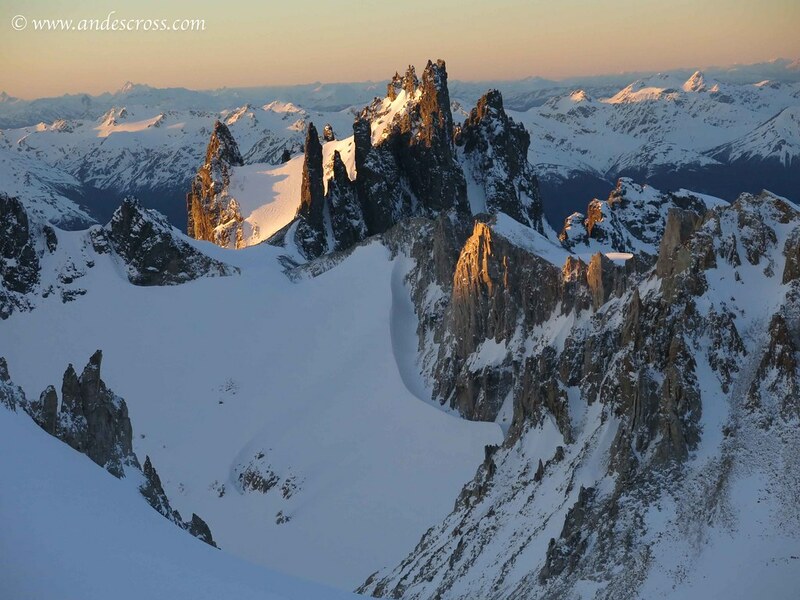 This mountain chain of central Patagonia dominates one of the last explored areas in the world. 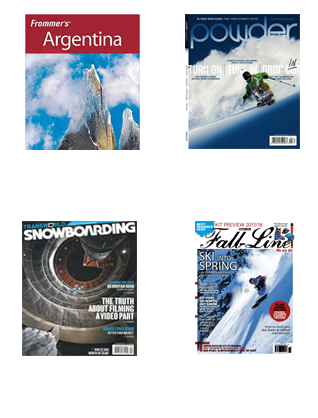 Without a doubt, this offers to mountain lovers a wide range of opportunities. Towards the west we have a dense rain forest, towards east the drier Patagonian steppe. 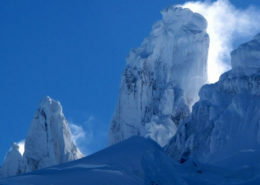 Cerro San Lorenzo is the natural frontier that distinguishes the climates. There is an abundance of fossilized forests and paleolithic pits of the indigenous people that give testimony of the past in the forms of crafts and cave paintings. Cerro San Lorenzo is an immense glaciated peak (the 2nd highest in Patagonia) located on the Argentine border SE of Cochrane. 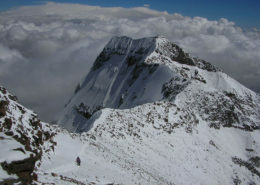 Remote valleys at the base of the peak make it spectacular for almost every trekker. 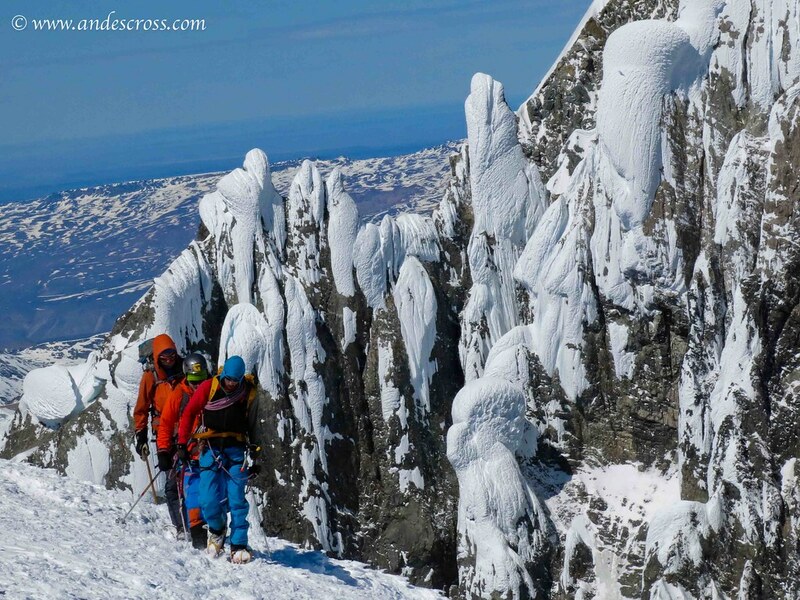 The ascent of the peak itself is a 7 to 10 day mountaineering expedition requiring solid glacier progression and some simple ice climbing skills. It is an excellent option for ski tourers. The mountain was first climbed in 1943 by a team lead by the Italian missionary and photographer Alberto de Agostini. Your mountain guide will meet you in the Balmaceda airport in Coyhaique, Chile. 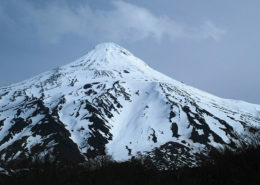 Depending on your arrival time we drive to Cochrane through the wild Patagonia or stay in Coyhaique. From Cochrane, approximately 4 hours driving 4WD by traditional Chilean farms and estancias to the end of the road. 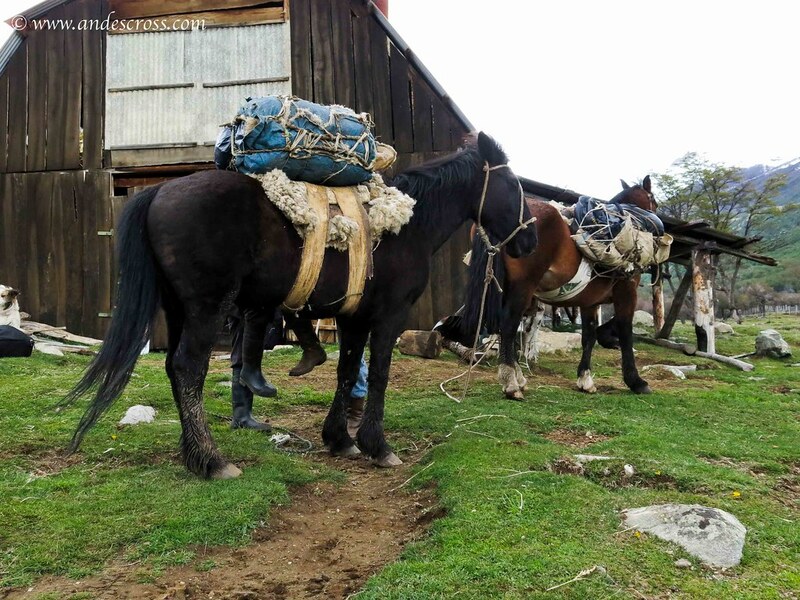 We’ll drive as far as conditions allow us, and horses will be waiting for us to help take our load as we trek the rest of the way to a gaucho’s ranch “Fundo San Lorenzo”. We will be welcomed by the Soto Family and a delicious typical Patagonian asado. A 3-4 hour trek takes us to our base camp, Camp Agostini, at 1000 meters next to a milky glacial lake surrounded by big moraines. Horses will assist with hauling our mountain gear. Here there is a great cabin which is good comfort during bad weather days. Night in mountain hut or tent. From Camp Agostini, your mountain guide will take you on a 5-6 hour climb towards Paso Comedor, at 1950 meters. This will be Camp I, winter camping. 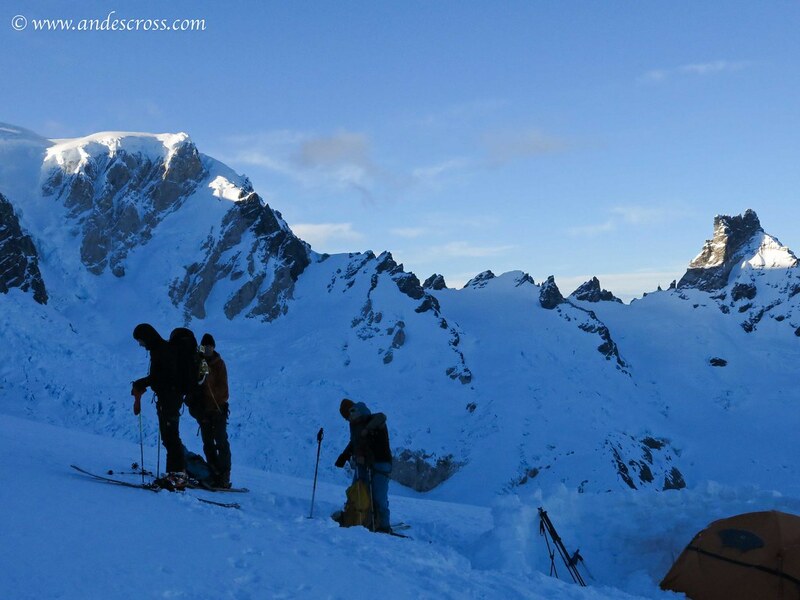 Most likely, we’ll be able to start skiing up from the hut through the forest, and we’ll soon be above tree line and the glacial moraines into alpine terrain. Paso Comedor, the “Dining Room Pass”, gets its name from a large boulder that looks like a giant’s table. 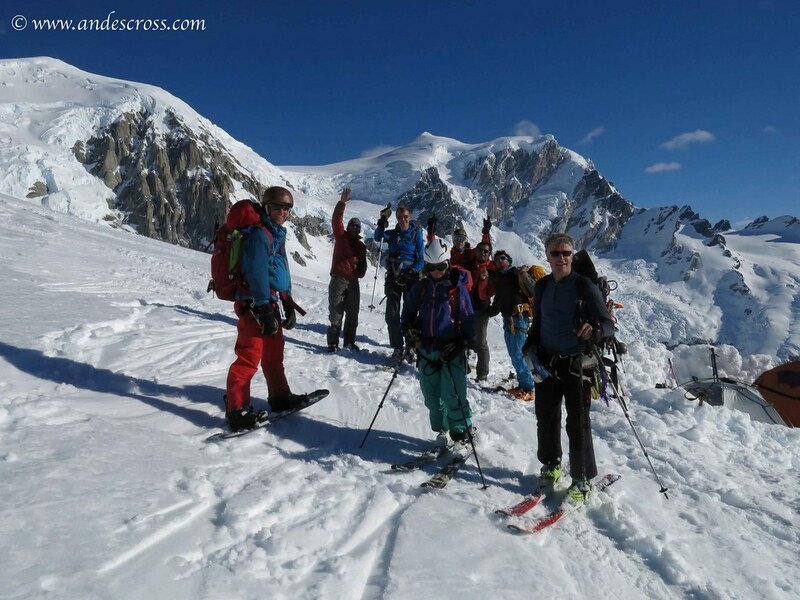 From Camp I, your mountain guide will rope up the team to travel across glacier terrain. Skiing and skinning ups and downs take us to Brecha de la Cornisa, 2150 meters. 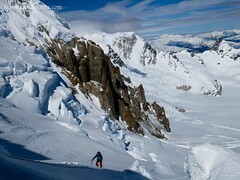 Traverse to access Glacier Calluqueo, the humongous glacier that covers the entire west face of the mountain. 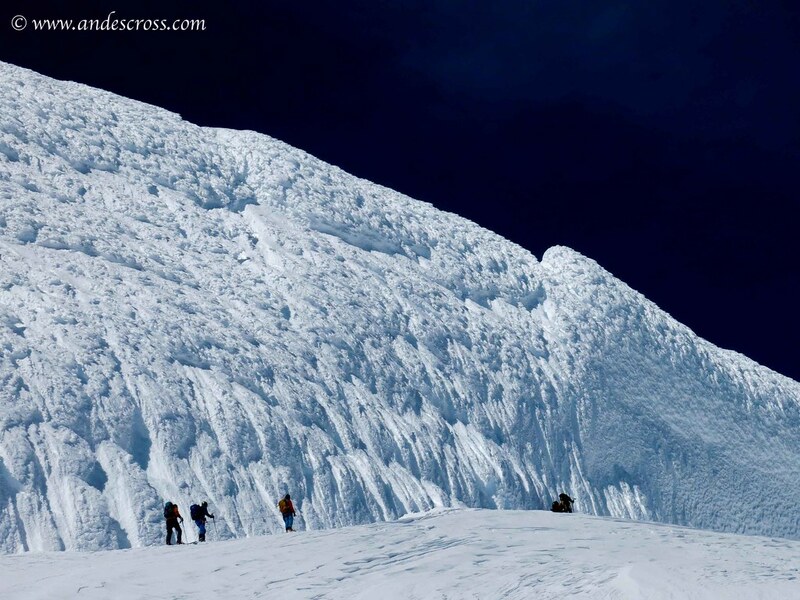 We will set up Camp II on the glacier right below the Northern Shoulder of Cerro San Lorenzo. Summit attempt day. From the tents, your mountain guide will take the team out skiing across the huge Glacier Calluqueo roped up. 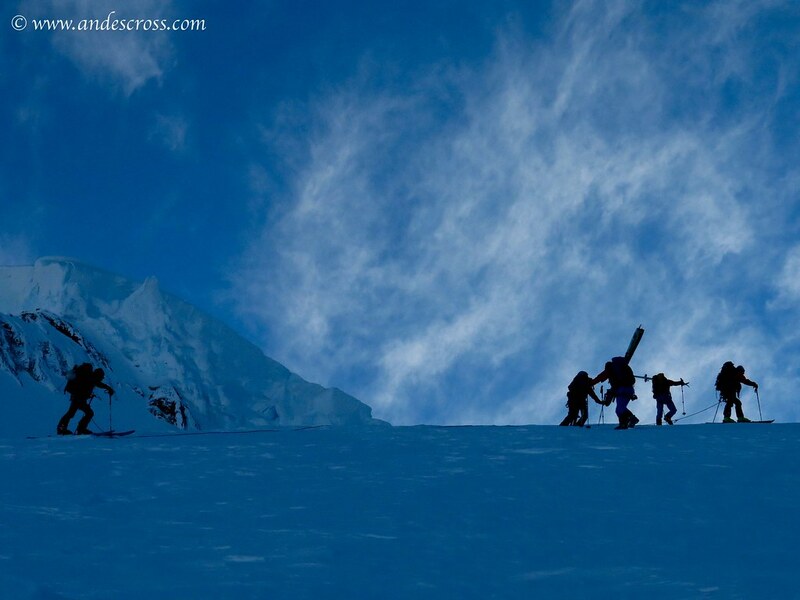 We’ll be able to ski tour about 1/3 of the climb, and then once the terrain gets steep, we’ll leave the skis behind. A section of moderate snow/ice climbing on 45-55 degree slope brings us to the ridge. The hike along the ridge of the North Shoulder to the summit of Cerro San Lorenzo is through a beautiful labyrinth of ice formations such as huge ice mushrooms, gargoyles, and angel wings. Along the way to the summit the fantastic views demonstrate how this mountain divides east and west the dry Argentinian Steppe and the lush Chilean rainforests. At 3705m, this is the second highest peak in Patagonia and lays directly between the Northern and Southern Patagonian Ice Caps. From the summit, on a clear day, you can see all the way south to the massifs of Fitz Roy and Cerro Torre and north to Patagonia’s highest peak, Cerro San Valentine (4058m). We’ll descend the same route to Camp II. This will be a long day. 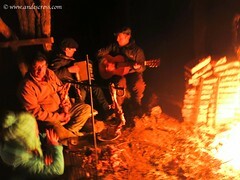 Descend to Camp Agostini-Descent to Fundo San Lorenzo ranch and a celebratory dinner with the gaucho family. 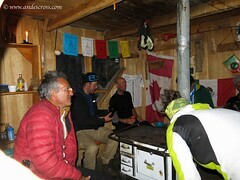 Night in the mountain hut or tent. Eather days before summit attempt in Camp Agostini at the mountain hut. 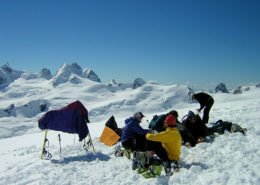 Depending on how bad the weather is, your mountain guide can take you on some short hikes to the nearby lake or surrounding valleys or low elevation skiing. 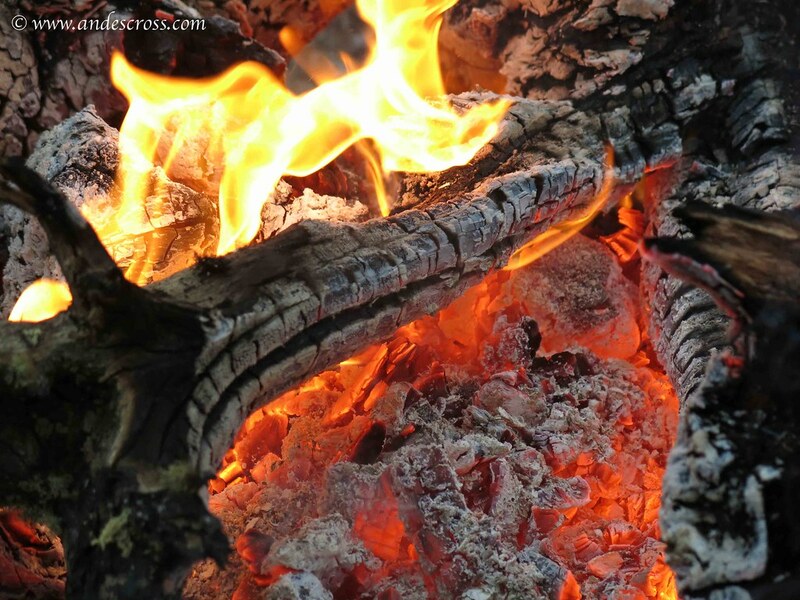 Or, enjoy the fire in the hut with a good book, game of chess, and mug of hot tea. Nights in mountain hut or tent. Descent to Fundo San Lorenzo ranch and a celebratory dinner with the gaucho family. Scenic drive to Cochrane. Drive to Coyhaique, Chile and drop off in Balmaceda airport. *The above itinerary is a guideline and subject to change due to weather and conditions. 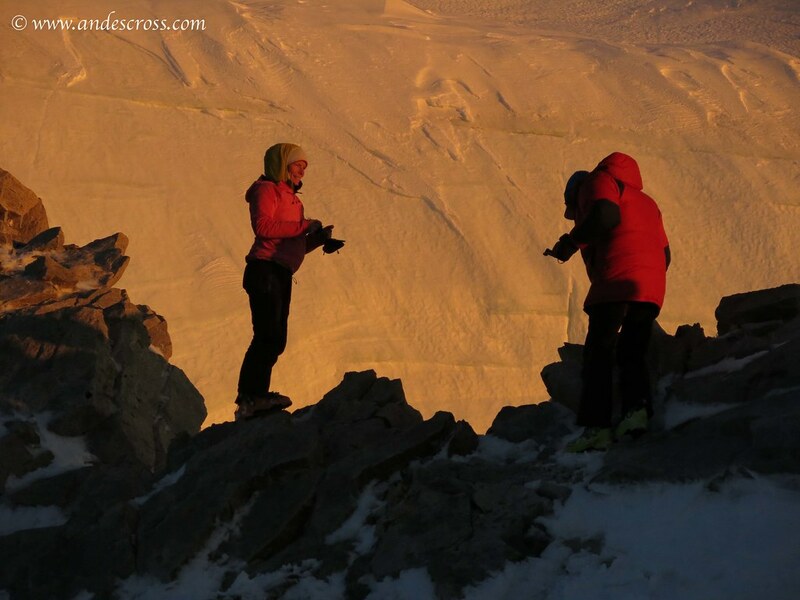 *If we are able to summit without waiting because the weather is excellent, your mountain guide will have ideas as how to enjoy extra days dedicated to poor weather by exploring other nearby peaks and lakes, sightseeing, taking a boat to Glacier San Rafael near Coyhaique, etc. UIAGM-IFMGA-IVBV Mountain guide and assistant. Domestic and international flights Meals in citys, towns. Crampons, harnesses, ice axe could be provided /rented if is necessary.